We’re proud to present our latest animation clip, The Beast in Yeast: OPATHY. We had a great time developing the story line with OPATHY (Omics of PATHogenics Yeasts) to address something that is not very well known: how yeast, such as Candida, can turn into dangerous pathogens. 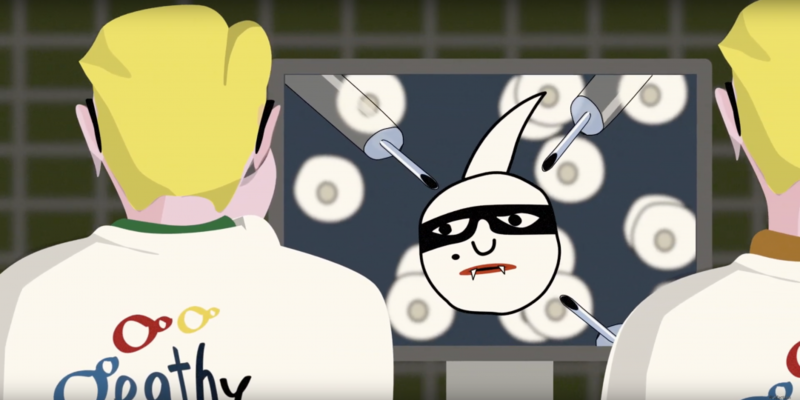 The animation style is humorous as well as informative, with a storyline that spans from introducing yeasts, through discussing yeast as pathogens, up to detailing – in a way that is easy to understand – the particulars of OPATHY’s working tools. The Beast in Yeast is fast-paced, and has nostalgic as well as modern components – and it comes with subtiles in 15 languages! Yeast infections are poorly understood, difficult to diagnose and are becoming increasingly frequent and serious, affecting over 300 million people worldwide. OPATHY is a European research training network studying the interactions of yeasts that cause disease to humans with their host by exploring innovative technologies, including genomics, transcriptomics and proteomics. The OPATHY researchers want to develop new diagnostic tools to monitor yeast infections in the clinic, supporting medical doctors and patients worldwide. OPATHY has received funding from the European Union’s Horizon 2020 research and innovation programme under the Marie Sklodowska-Curie grant agreement No 642095.